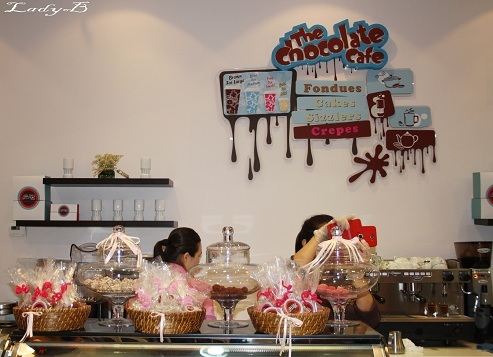 A new hip place in town serving a wide array of chocolate creations and desserts to be more exact.. 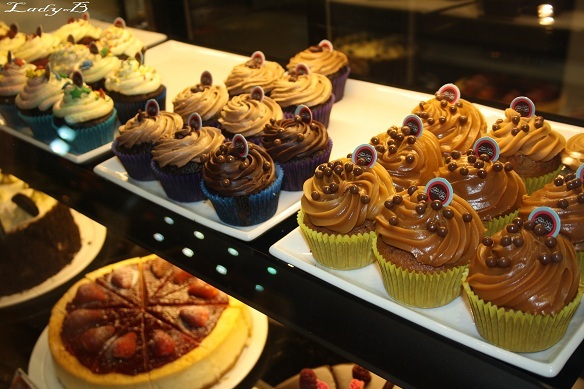 The overall decoration was simple yet very hip and trendy..
Desserts selection all over the place that makes it super hard to decide.. 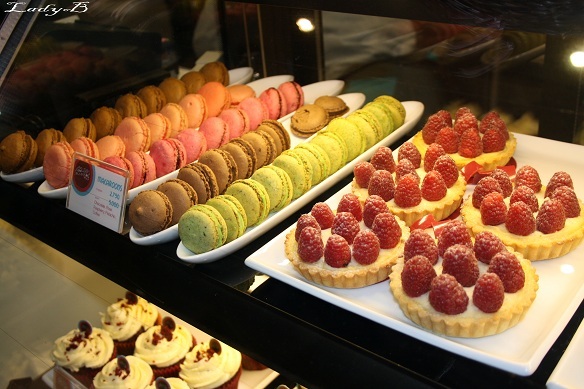 The had a selection of cupcakes, tarts, macaroon and cakes if you fancy taking some back home.. The invitation box had a delicious cupcake, brownie and macaroons which if you want to judge according to those then that's a good place to start..
We started off with a chocolate cupcake, it was mini you know and gone in no time ! That explains how good it was no? 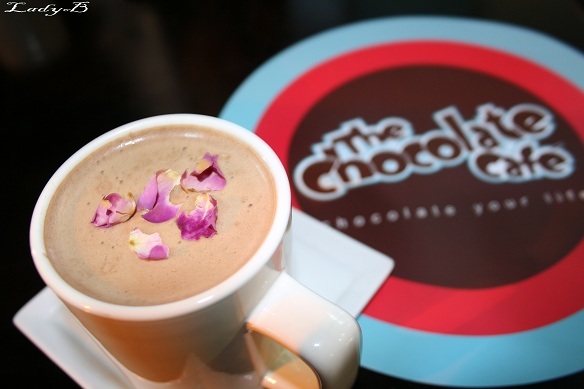 This drink; Rose Hot Chocolate was intriguing since I love anything and everything that includes rose I decided to give it a shot but I was doubting how would it taste combined with chocolate and let me tell you something it was beyond delicious ! So it's a must to try this drink if you visit ! 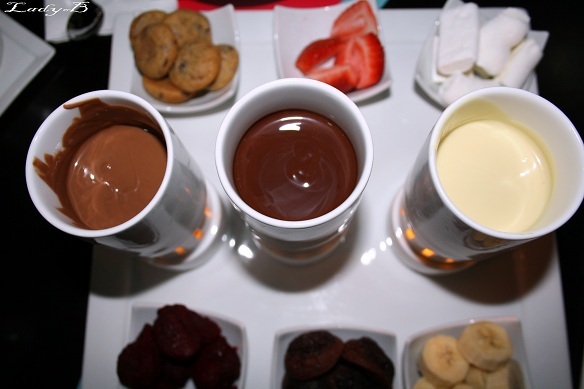 Chocolate fondue, the red velvet cookies were good.. The marshmallows a bit too soft, but the quality of the chocolate was divine.. 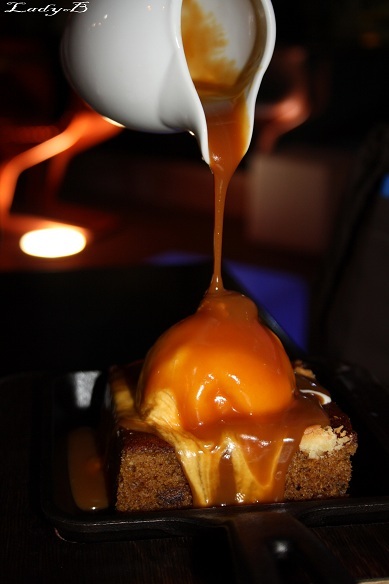 The best for last, this sizzling sticky date toffee cake was to die forrr ! 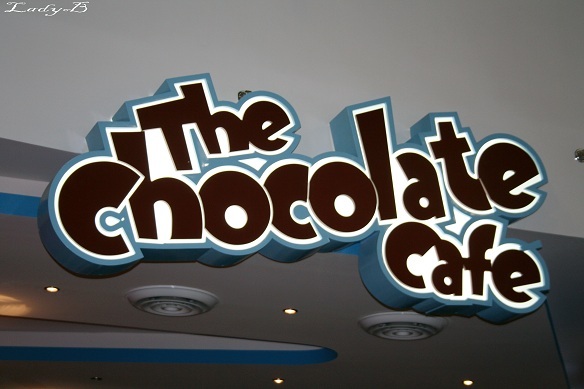 So if I'm going again it's on top of the list to have along with the rose drink! 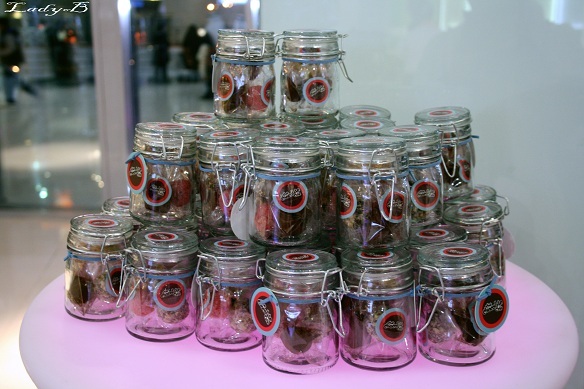 Tiny favours loaded with truffles and bite size cookies.. Thanks Maha for your kind invitation..